The June 14 edition of the Chronicle of Higher Education (“At the Ivies, It’s Still White at the Top”) presents a remarkable pictorial display of the individuals in the top levels of university administration in the Ivy League (Brown, Columbia, Cornell, Dartmouth, Harvard, University of Pennsylvania, Princeton, and Yale). This pictorial display is more powerful and compelling than any statistical report in portraying the absence of diversity in university leadership. It reminds us of the dimensions of the administrative landscape as it exists today and emphasizes the fact that we are truly only at the beginning of the long journey toward inclusion in the top tiers of our nation’s educational institutions. This journey begins with representation as its first phase, next proceeds to the development of a representative bureaucracy that reflects the changing demography of student populations, and ultimately requires the creation of inclusive cultures at all levels. The lack of racial and ethnic diversity in the top administrative ranks is not limited to the Ivies, but also pertains to public and private research universities as well as four-year colleges throughout the United States. A 2008 King & Gomez study found that close to 85 percent of the top-ranked positions in doctorate-granting institutions are held by whites and 66 percent held by males. Similarly, a NACUBO (2010) survey, found that Chief Financial Officers are 90% white and 68% male. Furthermore, as Bryan Cook, former director of the American Council of Education, notes in the lead article by Stacey Patton in this Chronicle special edition, the lack of racial and ethnic diversity at 149 four-year colleges has persisted for 25 years. Cook also observes that institutions rarely replace a minority member with another when he or she leaves. As Ms. Patton perceptively notes, the frequent argument about “lack of qualified candidates” for these top roles becomes a loaded and coded divergence—a smoke screen that feeds stereotypes of minorities as less capable, intelligent, or experienced (p. A4). The few minorities that are selected for these highly visible roles experience what researchers William Tierney and Robert Rhodes call the double-edged sword of “a perverse visibility and a convenient invisibility.” For example, in her essay, “The Making of a Token,” in the edited volume Presumed Incompetent Yolanda Flores Niemann reports her “inordinate visibility” as a minority female professor in a mainly white male department. Subjected to overt racism and isolation, her negative self-perceptions and lowered sense of self-efficacy in the academy increased, until, as she reports, “I no longer recognized the person in the mirror.” Hiring one or two minorities at high levels within our institutions of higher education cannot be expected to solve the sense of exclusion, perceptions of token status, heightened visibility, or differential expectations that can accrue to the singular individual or nominal number of individuals in these top roles. There are, however, some promising developments on the horizon. David S. Lee, professor of economics and public affairs and the director of the Industrial Relations Section at Princeton University, was just named provost last week, as the current provost (Christopher Eisgruber) ascended to the presidency. Unlike its Ivy comparators, Columbia University had the highest percentage of minority administrators (42 percent), although only 3 of its senior-level administrators are minorities. And women have certainly attained the highest levels with female presidents at all of the Ivies except Yale (Dartmouth has an interim female president). As Alvin Evans and I share in our forthcoming book, The New Talent Acquisition Frontier: Integrating HR and Diversity Strategy, diverse talent is an accelerator of innovation, demanding a shift in the structures of top-down, command-and-control leadership that characterized the Industrial era. In this era of globalization, universities can no longer afford to ignore the need for diverse, collaborative, intergroup leadership. The leadership of diverse executive teams will create common ground in an environment of shared governance, promote inclusive campus climates, and position the university to respond to the changing educational needs of students in an interconnected, global society. Today is the celebration of the 100th International Women’s Day. While it’s meant to be an event that celebrates the diversity of women’s accomplishments, often times the focus of such celebrations is overly young, white, straight and normatively gendered. To counter this trend, I thought I would highlight three women leaders who don’t fit this model. Estela Maris Álvarez is a member of the Enxet people, an indigenous group in Paraguay´s Chaco region, an area of semi-arid grasslands and thorny forests. She lives in La Herencia, a community in the western part of the country, located 340 km from Asunción. Álvarez, who is 40 and raising two kids on her own, practices natural medicine as a nursing assistant and treats people in her community. From her traditional position as mother and healer, Álvarez has become a more non-traditional leader, taking on sexism and discrimination within her community and from outside it, such as in the governmental National Institute of Indigenous Affairs (INDI) which only recognises men as leaders. “If a group of indigenous women turns to INDI to protest about a specific problem that affects us or to demand respect for our rights, they tell us that we’re not tribal chiefs, and just ignore us,” she said. Dismissing women’s voices exists within the Enxet community as well. According to Álvarez, the reality in the indigenous communities is that they’re governed by tribal chiefs with authoritarian and even violent attitudes. “They think that just because they’re chiefs they have the right to decide over the life of the community,” she said. Violence against women is a chronic problem in the patriarchal culture that prevails in indigenous communities, where it is considered acceptable. As a community leader, her position is clear. “The rights of indigenous women must be defended even over the interests of the communities,” because, moreover, it’s not true that you have to choose one or the other, she said. “I am becoming more radical with age. I have noticed that writers, when they are old, become milder. But for me it is the opposite. 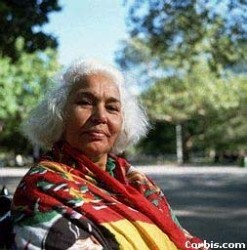 Age makes me more angry.” This is the observation of Nawal El Saadawi, Egyptian advocate for women’s rights. El Saadawi trained as a doctor, then worked as a psychiatrist and university lecturer, and has published almost 50 novels, plays and collections of short stories. Her work, which tackles the problems women face in Egypt and across the world, provokes outrage in many ways because she takes on religion, but she doesn’t back down. She continues to address controversial issues such as female circumcision, domestic violence and religious fundamentalism in her writing and speaking. Here is a short video clip of her talking about some of these issues (warning: strong content, annoying ad at the beginning). Sojourner Truth famously asked, “Ain’t I a Woman?” in her speech at the 1851 Women’s Convention. Her speech was meant to challenge the race and class privilege of the white women who organized that convention and did not imagine Sojourner’s struggles in their conceptualization of “women’s rights.” More than a 100 years later, women who are outside of privilege have continued to challenge what is meant by “women’s rights,” and who gets included and excluded from the category “woman.” Someone who is widely regarded as a pioneer in this struggle is Sylvia Rivera. Rivera, a veteran of the Stonewall Uprising in 1969, continued throughout her life to fight for the rights of the disenfranchised, particularly homeless LGBT kids and trans people everywhere, as she pointed out the often privileged myopia of the white, middle-class LGBT movement. 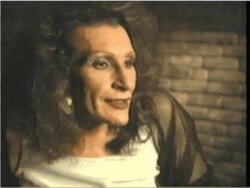 Part of Sylvia Rivera’s legacy is a more inclusive definition of who is considered a woman and understanding that fighing for “women’s rights” includes transgendered women’s rights. When the venerable director [Woody Allen] scandalously left Mia Farrow for her adopted daughter, South Korean-born Soon-Yi Previn . . . he may as well have sent out a press release: Asian-girl fantasy trumps that of Hollywood royalty! . . . Rupert Murdoch walked down the aisle with fresh-faced Wendi Deng . . . .Then, CBS head Leslie Moonves wed TV news anchor Julie Chen; Oscar winner Nicolas Cage married half-his-age third wife Alice Kim; billionaire George Soros coupled up with violinist Jennifer Chun; and producer Brian Grazer courted concert pianist Chau-Giang Thi Nguyen. Add the nuptials of investment magnate Bruce Wasserstein to fourth wife Angela Chao and the pending vows between venture capitalist Vivi Nevo and Chinese actress Ziyi Zhang. The excruciating colonial stereotypes — Asian women as submissive, domestic, hypersexual — are obviously nothing new. “It’s like a curse that Asian-American women can’t avoid,” says C.N. Le, director of Asian and Asian-American Studies at the University of Massachusetts, Amherst. “From an academic point of view, the perception still serves as a motivation for white men.” . . . Richard Bernstein found that the Orientalist illusion continues to influence. “Historically, Asia provided certain sexual opportunities that would be much more difficult for Western men to have at home. But it remains a happy hunting ground for them today,” he says, citing one phenomenon in the northeastern region of Thailand called Issan, where 15 percent of marriages are between young Thai women and Western men well into their 60s. She introduces the importance of the exotic Asian woman stereotype, but quickly drops it instead it and does not exploring what it means in the West. This sexualization of Asian American women in white-male minds is a major aspect of contemporary racism, and one deserving of much more analysis than we have in social science, never mind in the stereotype-riddled popular media. This stereotype is central not only for the elite-men-partnering issue, but much more generally to white (male) framing of Asian and Asian American women. There are, for example, a great many websites dedicated to pleasing the racialized exotic-Asian-female fantasies and images held by many white men across the Internet. While I’m sure that real love and affection is sometimes the bond in these culture-crossing May-December romances, could it be that power divorcés of a certain ilk make the perfect renegade suitors for these overachieving Asian good girls — an ultimate (yet lame) attempt at rebellion? Maybe these outsized, world-class moguls are stand-ins for emotionally repressed Asian dads (one cliché that is predominantly true). In the 19th century Asian American [and Asian] men were stereotyped in the white framing as oversexed and threatening to white women, but in more recent decades they have been more likely to be stereotyped as feminized or emasculated, a shift that may link to the rise of model minority stereotyping. . . . In the United States Asian American women are the group most likely to marry outside of their racial group. They outmarry more than other women and men of color, and much more than Asian American men. In many such cases a white racial framing in the minds of Asian American women may intersect with the sexualization of Asian American women in white male minds. Because their standard of an attractive male has become white-normed and because of the potential to enter directly into white middle-class [or upper-class] world, many Asian women find a white male partner appealing. In contrast, some white men are drawn to the Asian female stereotype of exoticized sensuality and submissiveness. As we watch the hearings in the US Senate on Judge Sonia Sotomayor’s nomination, we can reflect on some images generated about her in most parts of the conservative sector and in the mass media that often plays lapdog for conservatives’ views. One conservative view accents her previous talks and speeches (but not, interestingly, her decisions in this regard) that indicate her important experiential understandings as a woman of color (“wise Latina”) and attacks her for thinking and operating necessarily out of her own racialized and gendered experience, as if that is possible for white men to do. Isn’t Alito here speaking about having some human empathy for immigrants because of his own family’s immigrant experience? 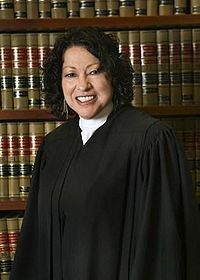 Yet, Coburn and other numerous conservatives (and some others) lately have tied some of what Sotomayor has said about her similar experiences to President Obama’s stated concern for judges to have empathy across important lines in society—apparently a bad thing to have, especially for many white conservatives, including many Republicans in Congress. Indeed, Sotomayor has been forced the last day or two to disagree with President Obama’s earlier statement on empathy in judging, and to assert what Alito does in this comment–that she does not make or bend the law to her personal views (etc.). Is this conservative attack on the concept of empathy as it is raised by people of color like Obama and Sotomayor because they are afraid that real empathy across color lines is indeed corrosive of the oppressive structure of society, from which they greatly benefit? Hernan Vera and I have argued that individual racism and systemic racism generally require a lack of real inter-human empathy, what we call “social alexithymia”? Doesn’t US racism, past and present, require a breakdown of real empathy in the dominant racial group? Is real empathy corrosive of racist framing and much racist action? All age groups have a majority or plurality that said yes, but those under 30 are more oriented this way than older groups. Both men and women were more yes than no, but the women were more strongly in the yes column. A majority of the whole sample comes down on the side of empathy for judges, white male Senators notwithstanding! Let us explore some more aspects of this gender and leadership issue in another major survey of 2,250 adults done last year by the Pew Center. It is revealing in regard to various gendered matters that clearly relate to societal debates on Judge Sotomayor, and on other women recently nominated or appointed to key positions. The survey asked about the leadership traits and assets of men and women. The public, interestingly, seems more enlightened than some US senators. women are more honest than men, while just one-in-five say men are more honest (the rest say they don’t know or volunteer the opinion that there’s no difference between the sexes on this trait). And honesty, according to respondents, is the most important to leadership of any of the traits measured in the survey. Here again, women outperform men: 38% of respondents say women are smarter than men, while just 14% say men are smarter, and the remainder say there’s no difference between the sexes. with 44% of respondents saying that men are more decisive and 33% saying women are. leads over men on the last three traits on the public’s rankings of the eight items measured: being compassionate (80% say women; 5% say men); being outgoing (47% say women; 28% say men) and being creative (62% say women; 11% say men). Nearly eight-in-ten (78%) black women (compared with 51% of white women and 50% of all adults) say women are more honest than men. About two-thirds (65%) of black women (compared with 37% of white women and 38% of all adults) say women are smarter than men. And about half (49%) of black women (compared with 33% of white women and 28% of all adults) say women are more hardworking than men. And the statistics are even worse for women (and men of color), especially for Latinos/as like Sotomayor. It is odd that no one in the hearings has analyzed well the point that out of 110 Supreme Ct. justices so far in our history, 106 have been white men, virtually all elite white men. And this is supposed to be some sort of democracy? It is more like a male-ocracy? Now, the greatest political difficulty is getting some real societal change in the gendered, and gendered racist, structure of this society.